I haven’t done a “Get This Look” post in a while. For this one, I am using strictly items from Wayfair.com to recreate this room. This is not a sponsored post, but I am happy to say that I recently became one of Wayfair’s featured bloggers. This beautiful room is filled with texture. The stars of this show are the mirror and the ottomans. I found really great comparables for those two items from Wayfair. The mirror shown below is a generous size of 40″ diameter, to really make it the focal point of the room. I actually like this one even better. In the inspiration photo, they used two linen ottomans, but I found this amazing linen bench on Wayfair. Look at that bench. Everything else in the room compliments those two pieces. Soft hues with lots of textures make the bed extremely inviting. The lamp I found from Wayfair is the exact one shown in the inspiration picture. I also love the Jute Roller shades I found. 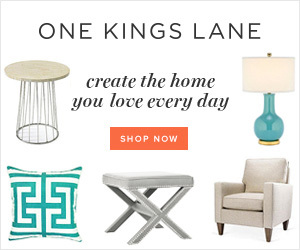 Congratulations on becoming one of Wayfair’s featured bloggers! Love this look! Your pics are beautiful. I love that white and soft blue combo as well. A white coverlet like you show always looks crisp and a nice anchor in the middle of the room. Congratulations! Love the mirror and the bench! This look is beautiful! I actually have a very similar pillow with a sea horse! Need to add this one! Have a great week! Great ideas! Love the whole look!!! !